The fellows over at Raging Heroes are giving you a chance to win some of their minis over on their website. While the group is working on a set of rules for their figures, they know that a lot of people are intending to use them as stand-ins for minis from other games. What they'd like to know is what you plan on using them as stand-ins for (or what you think they would make good stand-ins for). But that's not all. 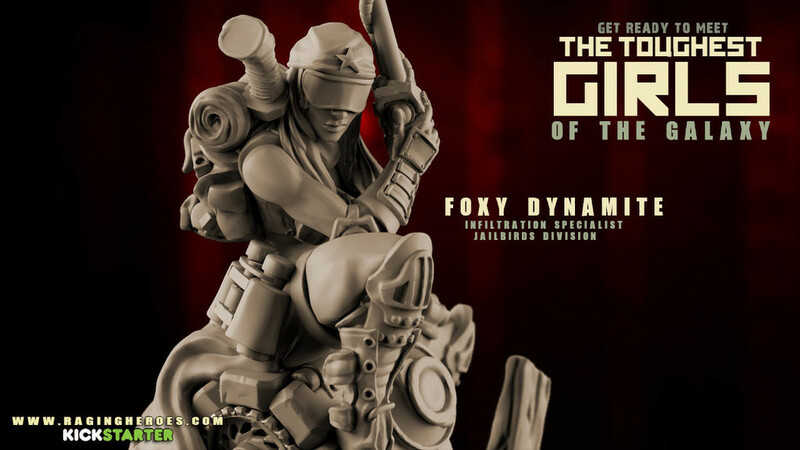 They're also offering 10% off the various figures from the contest until January 31st. Don't worry, though, if you order the figure and then win her, as you'll get reimbursed (twice, actually!). So go check out their contest and be sure to check back each day for your next chance to win.